Vacuum priming systems normally consist of one or more liquid ring vacuum pumps that are mounted on a vacuum receiver tank’s top. These systems are used by water pumping stations that need to pump water vertically from a lower to a higher level. At Airtech Vacuum Incorporated, we offer high pressure vacuum pumps to allow water pumping stations continue to distribute water even when water levels drop. 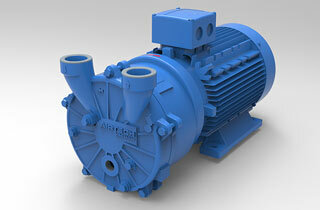 We have a wide range of vacuum pumps that are custom designed to fit different industry applications. Not all water pumping stations are well located within the right altitude from their water source and this can create a challenge when they have to pump water to higher levels. When a water pumping station is based high above the sea level, the atmospheric pressure lowers which creates fewer vacuums. This slows down the process of pumping water which can affect the services of a water pumping station negatively. At Airtech, we have high pressured pumps which are custom designed according to the distance and altitude of a water pumping station to enable effective water transmission. Our vacuum pumps use the latest technology to ensure that they minimize the amount of vacuum in water pipes to enable large volumes of water to be transferred to long distances. We ensure that our machines are well suited for different application depending on a company’s needs. Why Choose Airtech Vacuum Incorporated For Vacuum Priming? 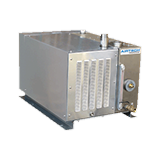 Airtech Vacuum Incorporated is a world class full line manufacturer of high-end liquid ring vacuum pumps and offers a wide array of vacuum and pressure technologies. Since our inception in 1982, we have grown to be the leading manufacturer and distributor of vacuum priming machinery in the US, Asia and Europe. We partner with top water pumping stations to provide them with stellar equipment to enable them operate effectively. For more than 30 years, our engineers have outdone themselves in providing custom engineered vacuum pumps that are not only effective but also use less energy. We have representatives who are always on standby to take your order or provide more information about our products. Our customers enjoy shopping with us since they can easily browse through our inventory for ready to ship products at competitive prices. Our products are ISO9001-2008, UL-, CE-, RoHS-, and CSA-certified, so you should rest assured of getting products that are genuine and of high quality. Look through our inventory for vacuum priming vacuum pumps and place your order online today.